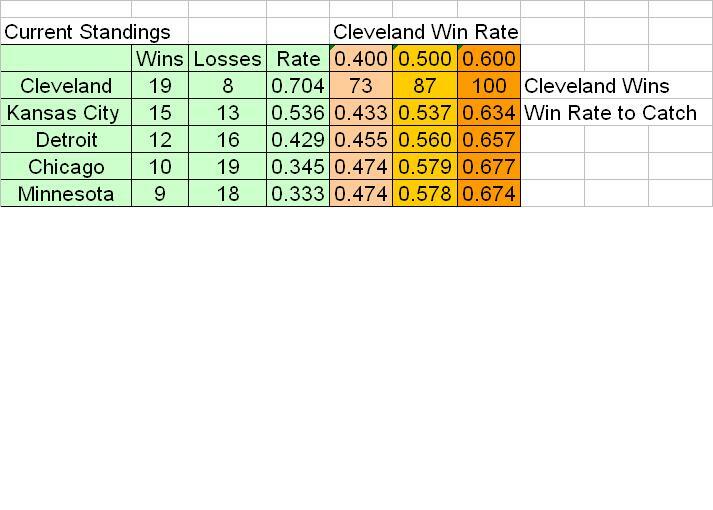 The Indians’ hot start means that if they play only 500 ball for the rest of the year they will win 87 games. That is enough to win the Central based on preseason projections. The Tigers would already have to win 11 of every 20 to catch them even if the Indians play 0.500 ball from here on out.